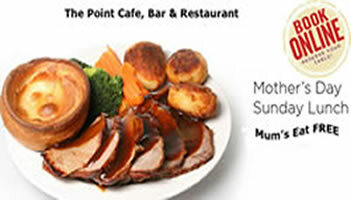 This Mother's Day (Sunday 31th March) The Point Cafe, Bar & Restaurant is letting mums eat FREE all day. Book now to avoid disappointment! We are open from 8am to 10pm every day. 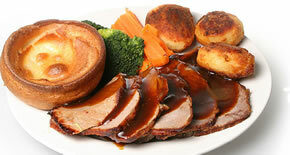 Spoil Mum to one of our Roast - Roasted Topside of Beef or Pork – with Crackling; or roast Lamb. All our roasts are served with a home-baked Yorkshire Pudding, home-made Goose Fat Roast Potatoes, home-made Gravy, 5 Steamed Seasonal Vegetables. 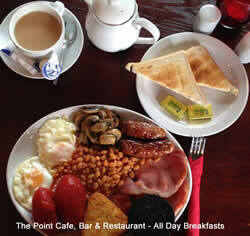 -Offer available for breakfasts is from 9am to 11:30am for the traditional Sunday Lunch is available from 12pm to 9pm. -One mum per table eat FREE. -This offer is not in conjunction with any of our other offers we have. -Mums must be dining with their kids to get free brekky or Traditional Sunday Roast and we may also ask to see some kind of ID to prove you are actually related. -Mum's will only get their main meal free, all drinks and sides must be paid for. -All other diner's in the group must be eating too!